If your failure to file FBARs was non-willful, you may use the streamlined filing procedures to come into tax compliance. You will have to submit FBARs for the past six years, and amended tax returns for the past three years and pay the tax owed on your foreign income. Taxpayer residing in the United States will have to pay a miscellaneous 5 percent penalty based on the highest balance of the foreign accounts during the covered periods. Taxpayers residing outside of the U.S. do not have to pay the miscellaneous penalty. If you’d like to know more about the streamlined filing compliance procedure make sure you download our free special report Nine Questions You Should Be Asking About the IRS Streamlined Filing Compliance Procedure for Unreported Foreign Accounts. Willful FBAR violators do not get off so easily. The Offshore Voluntary Disclosure Program (OVDP) can be used to clean up these violations, but it comes with much higher costs than the streamlined procedures. First, the OVDP covers eight years of income taxes, while the streamlined procedures cover only three years. A miscellaneous penalty of 27.5 percent of the highest aggregate balance of offshore assets must be paid. In addition, a 20 percent accuracy related payment on the full amount of offshore-related underpayments must be paid, along with failure to file and failure to pay penalties, if applicable. The difference between the penalties and requirements under the streamlined procedures and the OVDP makes the difference between willful and non-willful conduct extremely important to taxpayers who need to fix their offshore bank account problems. IRM 4.26.16.6.5.1 defines willful conduct as a voluntary, intentional violation of a known legal duty. The IRS has the burden of establishing willfulness by the taxpayer. 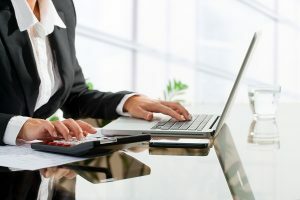 In particular, willfulness is shown by the taxpayer’s knowledge of the reporting requirements and a conscious choice not to comply with these requirements. “Willful blindness” may also exist, meaning that a taxpayer that makes a conscious effort to avoid learning of the foreign account reporting requirements may be considered to have behaved willfully. As evidence, the government may use inferences based on the conduct of the taxpayer. There is no requirement that direct evidence showing willfulness be used. Efforts to conceal signature authority, interests in various transactions, and interests in entities transferring cash to foreign banks may all be evidence showing willfulness by the taxpayer. Before you decide to use the streamlined filing procedures and certify that your conduct was non-willful, consult with a tax attorney to make sure you are making the right choice. The wrong choice could mean exposing yourself to possible criminal prosecution for tax crimes, and even perjury.